Copper accessories have been the way to make a statement for a while now, and rightly so. Since gold or silver had been our only option for so long and pigeon holed us into using silver for contemporary and gold for traditional décor we went totally mad when a different metallic option became available. The spectrum of Copper is very diverse and ranges from feminine light rose coppers with pale pinky hues of long summer days and pretty pink petals to raw, bright copper with more masculine, warm, burnt orange shades of autumn. This spectrum has allowed us to use copper in any style of room without limits and because of this, we have fallen in love with it. I do however, find myself questioning how long it will be before we crave something new and exciting again and, when copper eventually takes a back seat with brass and silver what will happen next? Well here is your answer… regain your individuality and MIX YOUR METALS! Don’t narrow your options as we have in the past by having so much of one thing that you cant stand it anymore. We need to realise that Copper is not here to replace gold or silver but actually to marry them together in metallic harmony and that our options are not limited, but endless. It’s amazing what can be achieved when metals stand proud together and gives us so much more freedom to express ourselves in our homes and even our wardrobes. Mixing metals can add depth, warmth, and luster to our homes and with metals reflective qualities it can even give an illusion of space. Whether your style is bold as brass or modest monochrome try a little mix up and I promise you will not be disappointed. 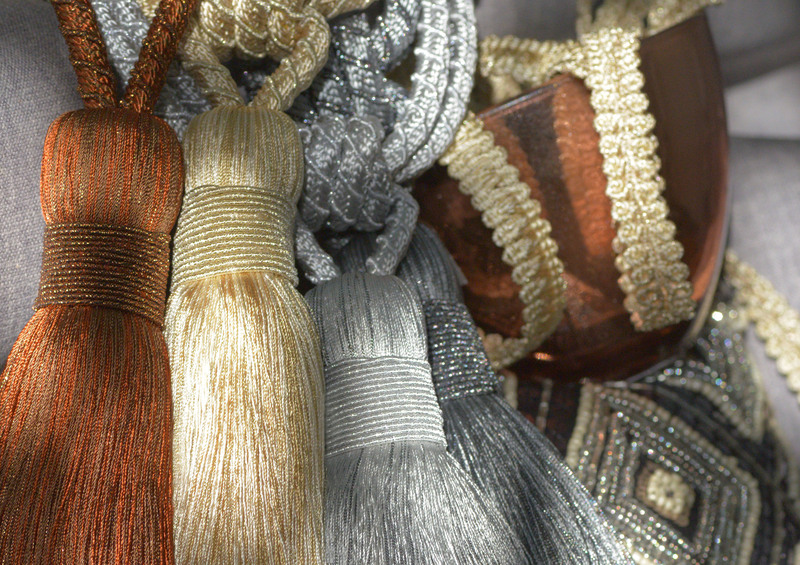 If you need some inspiration to get started you can check out our Pinterest page https://www.pinterest.com/Jonesintrs1909/copper-load-of-this or even start your metal collaboration with something from our Metallics Tiebacks and Trimmings Collection.